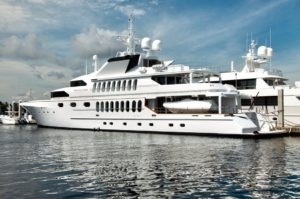 A luxury Yacht is among some of the most challenging assets to insure. The Clausen Agency Inc. can help you protect your investment against water or storage damage and also against liability from using your Yacht. Luxury yachts valued at $200,000 or more, are a unique investment and need to be protected by a professional and reliable insurance company. Since 1979 The Clausen Agency Inc. has provided Yacht insurance at affordable prices by customizing our policy to match your needs. Physical Damage Coverage: Our comprehensive insurance coverage insures your yacht, trailer, and motor in the event of an accident. Liability Coverage: If you’re involved in a boating accident with another boater and it’s your fault, you may be held liable. Our liability insurance protects you if the other party sues. Medical Payments Coverage: Our medical coverage plan can cover your eligible medical expenses in the event you are injured on the water. Are you beginner or a seasoned boater? Regardless of your level, it’s imperative that you have adequate yacht insurance protection. Our professional insurance agents are prepared to assist you in customizing an insurance policy to your unique needs.